Quick background: I’ve spend many an indulgent Sunday morning propped in bed, surfing You Tube and Pinterest for cute beauty tutorials to try in the upcoming week. Along the way, I’ve found some helpful gems which I’ll be sharing here with you on the odd Sunday. Late this summer, the French twist was top on my list of hairstyles to master. It’s a polished style that’s works well with second-day hair, making it an ideal ‘do for weekday mornings when I need to look nice for work, but don’t have time to shower and blow-dry. It took me a little while to get the hang of it, but bits and pieces from each of these tutorials were helpful so I figured I’d share ’em all. ♥ I found this how-to via Capital Hill Style, a good blog to follow if you work in a formal-ish professional environment. This gal’s non-traditional twisting method wouldn’t work with my thick hair, but if you have shorter or thinner locks than I, it could be a winner. ♥ I loved the messy, fuzzy end result of this Beauty Department tutorial, but found the chopsticks element totally unnecessary. The tip I did steal from this how-to was no. 5: teasing the middle ends of your hair before you roll it up makes for a meatier, bulkier twist. ♥ And last but not least, the tutorial that made it all click! I’ve shared this link with a few friends who were wondering how I fixed my hair…I think what makes it super easy to get is the clear shots of the back of the model’s head. 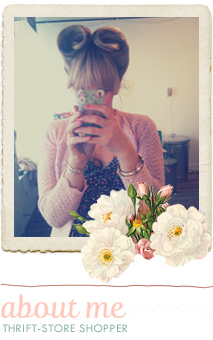 ♥ Using the correct pins will make doing this ‘do so much easier. Make sure to track down big (three-four inch) bobby pins (for running vertically up the back of your hair) and open hair pins for securing the roll. ♥ It’s better to tease too much than too little when you get started. You can always comb out extra volume, but adding it after you’ve started smoothing and pinning is a pain in the rear. ♥ A handheld mirror will be your best bud when you’re learning this style. Use it to make sure the back’s not looking too ratty or bumpy and that your twist is centered and even. ♥ Don’t sweat it if it takes you a few tries to get the twist down. Give yourself plenty of time to mess around while you’re learning, i.e. don’t try it out for the first time if you’re on a tight schedule or worse, running late. 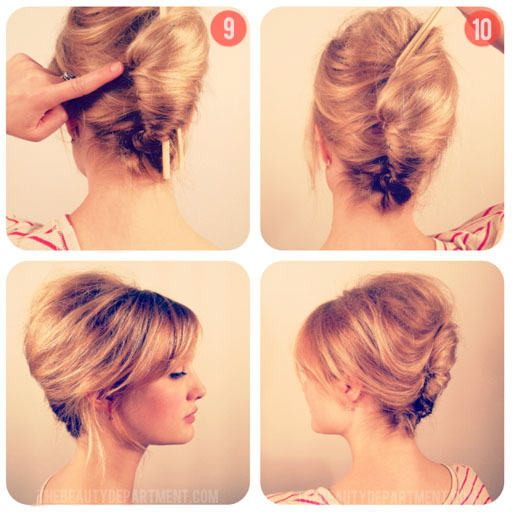 ♥ If you do this right, you shouldn’t need to use a ton of pins or hairspray. I usually do a quick spritz of Extra-Strong Elnett and get on my way. Do you have any tried-and-true tricks for French twisting to share? If so, leave a comment and let me know! I hope you all have had fabulous Sundays so far. I went to a dear friend’s baby shower this afternoon and now I’m off to hop on a bus to see this dreamboat. P.S. 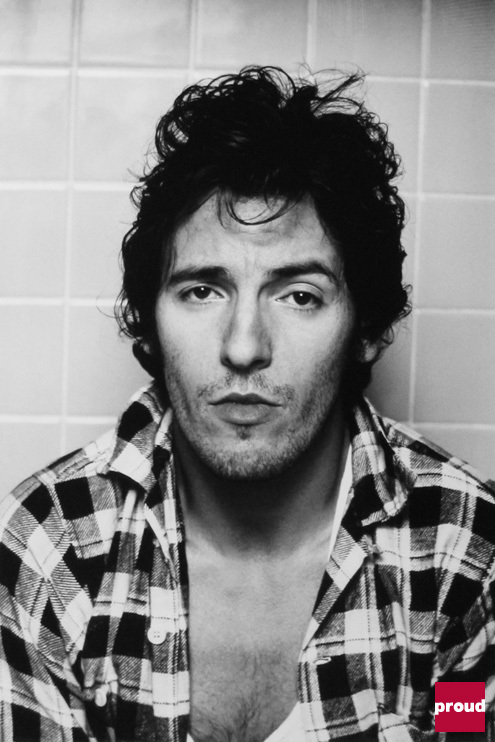 The beautiful Bruce photo’s from here.